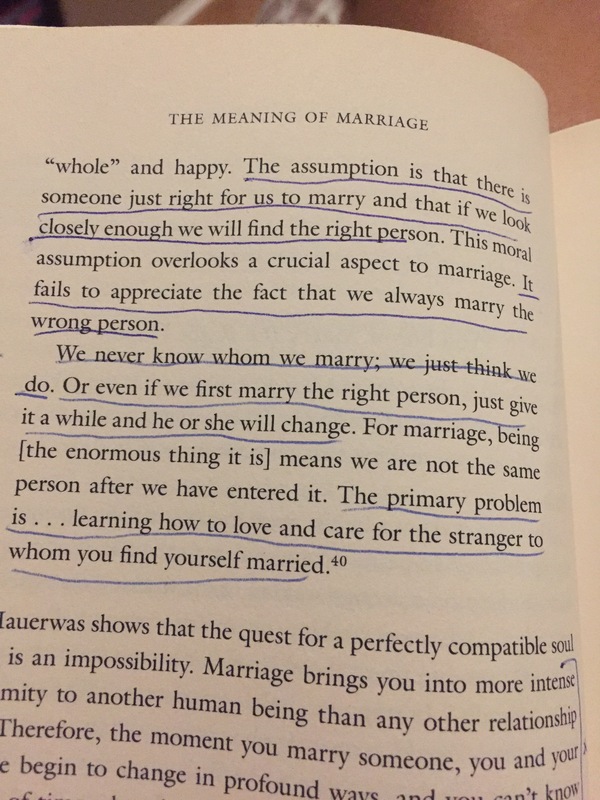 Somewhere in the first year Celeste was born I bought myself Timothy Keller’s book The Meaning of Marriage. Four and a half years later I have yet to finish it. I kept going back to it and feeling guilty that I would pick it up and devour page after page that made total sense; only to set it back down again. I love to read. I love learning and letting my imagination go. But since having our girls it has gotten harder and harder to finish a book in the same amount of time it took me to finish one pre-babies. I realized not reading wasn’t the answer though. Like Glennon Doyle Melton so beautifully expressed, “Reading is my inhale. Writing is my exhale.” That is exactly me. So I continue to read, at a much much slower pace than I would like, but still I go. 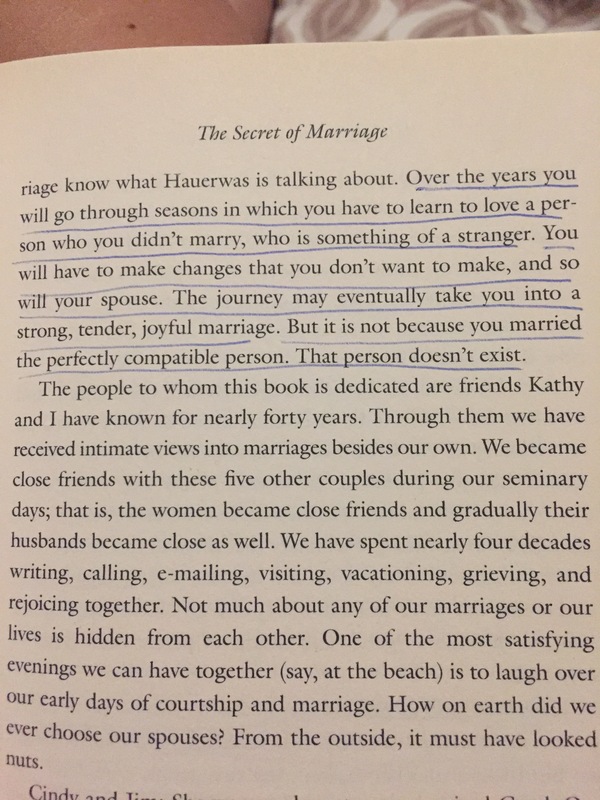 And since I finished reading Carry on Warrior, I decided it was time to pick up The Meaning of Marriage” again. So I’m going through the pages that I underlined and re-reading those parts as a refresher. And I have this feeling like there’s a reason I didn’t read the book the whole way through when I first got it. Because back then I hadn’t yet gone through many of the seasons I’ve felt in the last 4 1/2 years since adding our girls to the mixture of marriage. This is what pulled at my heart tonight. I see now how very true these statements are. I look back at our wedding photos and I think how my husband and I are nowhere near the same people we were when we first got married. And that’s ok. Because as we experience new things, those moments shape and change us. And it’s really not a surprise to me that two of the most beautiful moments in my life – marriage and having children, have brought the biggest changes, challenges, joys, tears, and learning experiences for me. Previous Post Continue to scroll or get up and go!